duration1 hour2 hours3 hours4 hours5 hours6 hours7 hours8 hours9 hours10 hours11 hours12 hours13 hours14 hours15 hours16 hours17 hours18 hours19 hours20 hours21 hours22 hours23 hours24 hours This field is required. Travel in Comfort and Safety. 8Rental Company provides a minibus rental with driver. 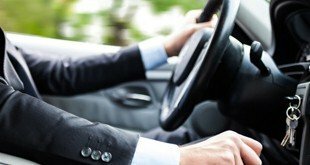 A professional driver with many years of experience will take you to any corner of the city. All minibuses are equipped to the highest standard which allows you to enjoy your ride. Safety and comfort on the road. Our fleet offers only top brand minibuses. Comfort, Safety and Quality - this is what has made these vehicles the best in their classes. Choose an appropriate vehicle class for you. "Fantastic experience. Rented a bus and driver for a day. The driver was very nice, professional and also flexible when our destination slightly changed. The bus was comfortable ..."
"My good friend has recommended me 8rental company and I discussed with them our situation. I asked them many questions about the trip and every time had received a calm and detailed answer..."
"I had a great journey with 8rental mini van. The driver and the staf are very helpful during our trip in finland. Thank you.. i will use the service again, next time for another trip ..."
Dortmund, like other German cities, is famous for its incredible beer. Moreover, this city was once one of the country's most popular brewing centers. Today Dortmunder beer still attracts visitors from around the world. Hence, once you are here, no matter what purpose, visiting a local pub and enjoying a glass of cool Dortmunder beer is a must. Nowadays, Dortmund is the center of the high-technology industry and welcomes numerous business travelers from across Europe. They come to attend conferences and sign important business contracts. Once the deal is done, a good Dortmund restaurant or pub will become the best place to celebrate it. Der Weinkommisar, Bergmann Brauerei or Eat-the-World Food Tours Dortmund are just a few destinations, which will fascinate you with an interesting interior, fantastic beverage, and local welcoming atmosphere. If you are you heading to Dortmund for business purposes or perhaps you just would like to taste the real Dortmund beer, regardless of your intentions, the number of people your group is composed of, 8Rental has a fantastic offer for you. 8Rental has been operating in the industry of passenger transportation in major European countries including Germany. During all these years of faithful servicing to its clients, 8Rental has managed to gain the trust of thousands of customers. Today we have a line of loyal customers who turn for our services whenever they are in Dortmund or any other European city. Rent a chauffeur driven minivan in Dortmund and find out what it means to deal with a really trustworthy chauffeur service and be one of them to enjoy safe and comfortable driving in Dortmund! 8Rental is available 24/7 for all its customers. You can place your order any time of the day, whenever it's convenient for you. 8Rental has included the fuel and insurance in the minivan hire with a driver offers. We'll take all taxes and fees upon us. As you can see, dealing with 8Rental in Dortmund is only beneficial! When hiring a minivan, it's advisable to first count on the number of passengers that will be driving in the vehicle. Another aspect to consider when choosing a minivan is the purpose of your travel. 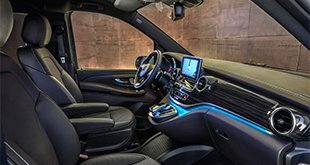 In case you are in Dortmund on business, 8Rental advises you to select a Mercedes V class. Hire this van with a driver in Dortmund if there are only up to eight colleagues heading there on business matters. The minibus is equipped with everything needed for your entire group to work while getting to your destination. There is a premium audio CD/DVD system, reading lights, tinted windows, air conditioning, central heating and other features you will like. You can also order extra amenities in the car, at an additional cost. Nevertheless, once your whole staff is to arrive in Dortmund, it will be wise to choose the Mercedes Sprinter VIP model. The latter is designed for driving up to two dozens of people in complete comfort and safety. The vehicle is in excellent condition and has even more impressive specs than the above-described one. 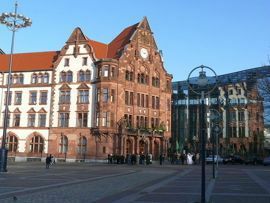 Hire a chauffeured van in Dortmund and make your business trip in this wonderful city unforgettable! If you are arriving at Dortmund Airport or you are heading to Germany on a train and will land at Dortmund Central Railway Station, 8Rental is glad to inform you that we can come to meet you. The minivan and the driver you booked will be right there to take your entire group of colleagues to your hotel. Our service is available for your entire tour to deliver you to every destination safe and sound. Our drivers greatly contribute to the fame we have in Europe. This car supplier has employed a staff of credible and responsible drivers all with valid driving licenses and impressive experience in the field. They know Dortmund's roads, as well as the ABC and, will drive you to your destination easily. Any direction is familiar to them and the communication will be easy due to their knowledge of several international languages.